Are you purchasing the reservation as a gift? If so, we need you to fill out this credit card authorization form. Download form and follow instructions. 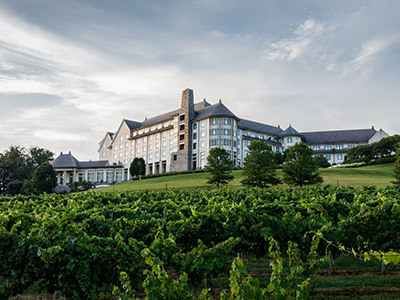 *An overnight stay at Biltmore includes access to Antler Hill Village & Winery. For the complete Biltmore experience, consider a package that includes estate admission for the length of your stay featuring America’s largest home and historic gardens. Guided specialty tours and audio guides are also available. Click the "Book Online" button below. On the new page that opens, click "Special Rates & Room Features." Click “Rates,” and then check the Biltmore Annual Passholder box. In the “Credential ID” box that opens, enter your Biltmore Annual Passholder ID. Select your desired Arrival and Departure Dates and the number(s) of guests, and then click "Check Availability". *Starting rate is based on double occupancy in a deluxe room. Rates are subject to availability, blackout dates, and applicable tax. Room only. Valid through July 31, 2019. Only Passholders receive this special savings on one of our four-star Inn’s most popular holiday packages. A fun-filled, festive weekend that pays tribute to the past, honors our veterans, and celebrates our country’s freedom, this package will sell out swiftly – book yours today. Need meeting space for a group? Please submit an online inquiry or call 800-211-9805. We require a deposit based on the value of your first night’s stay to secure your reservation for a room or package. This deposit will be applied to your last night’s stay and will be forfeited in the event of an early departure. If you cancel a reservation 7 or more days before your arrival, a $50 cancellation fee is charged; the remainder of the deposit is returned to your credit card. If you cancel a reservation within 7 days of your arrival, the cancellation fee is equal to your deposit. During Biltmore Concert Series and holidays, if you cancel a reservation within 14 days of your arrival, a $150 cancellation fee is charged. To revise an existing reservation, please call our reservation department, toll-free, at 866-336-1245, Monday – Friday from 8:00 a.m. to 9:00 p.m. and Saturday & Sunday 9:00 a.m. – 5:00 p.m. ET.